I noticed some images of old lab equipment in the easternblot Flickr pool recently. I thought it would be fun to show these as a group, and then show a bunch of new tools in a future post. 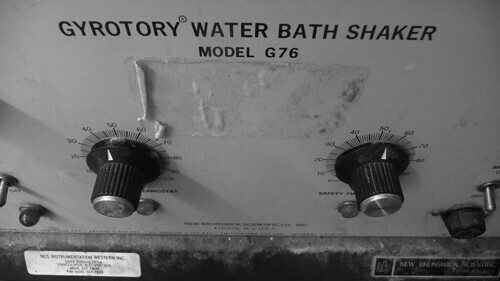 -Old water bath shaker. Don’t know the year, but this could be from the 1980s – these things work for a long time (and this could still be in use?). They make a lot of noise, too. 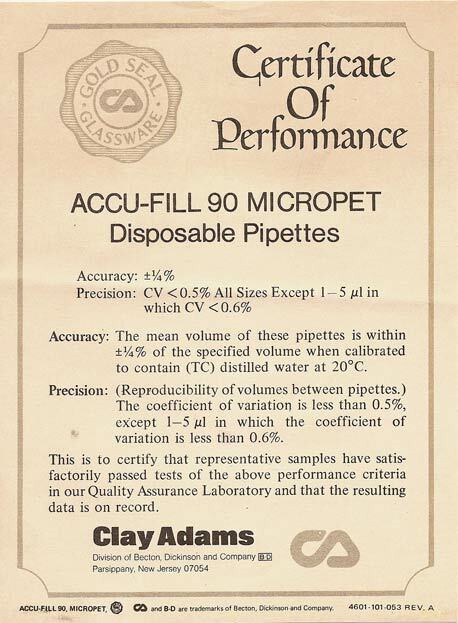 – 1-5 microliter pipettes with certificate (~1970s). 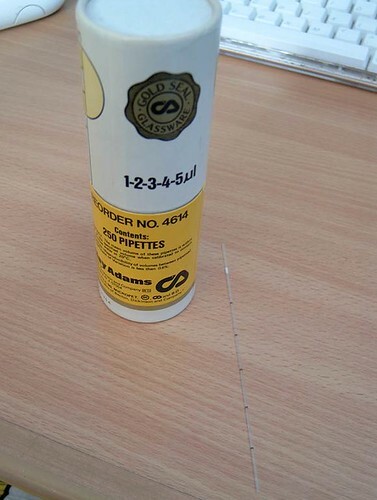 These volumes are now pipetted by Gilson pipettes. -Sequencing gel (mid-1990s). 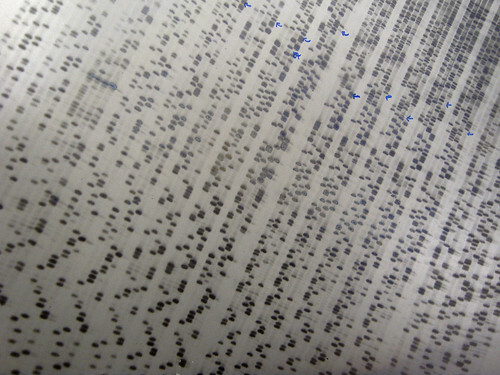 DNA sequencing used to be done by reading these images. One column each for A, C, G and T. Now this has all gone digital. 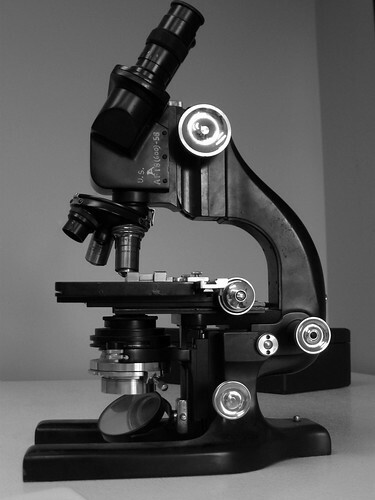 -light microscope, estimated from the 1950s. This model has a mirror underneath to catch and reflect an external light source and guide that through the sample. Newer microscopes have lamps built in, but otherwise these tabletop microscopes have no changed much.